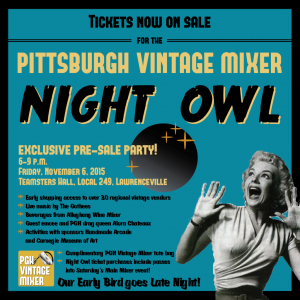 Hoot hoot – Pgh Vintage Mixer Night Owl! 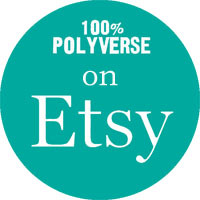 We’ll be vending at the Pittsburgh Vintage Mixer this coming weekend – we can’t wait! We’ve been gathering up all our best midcentury kitchy goodies – it is always a great time! 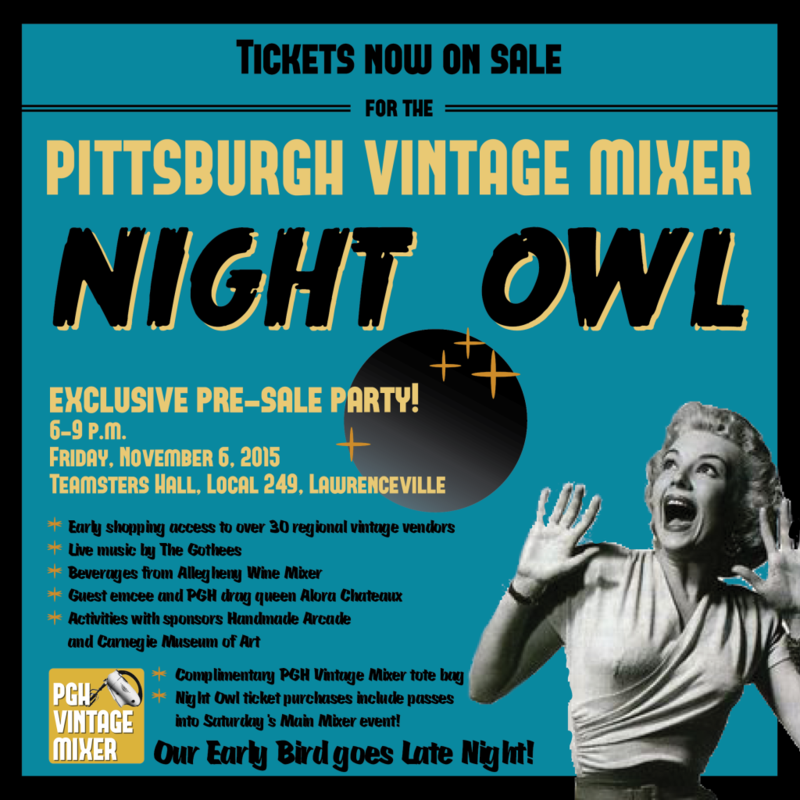 The sixth Pittsburgh Vintage Mixer is kicking off with the Night Owl – an exclusive pre-sale shopping night Friday, November 6 (6pm-9pm), and continues with the Mixer Main Event Saturday, November 7 (9am-3pm) at the Teamster’s Hall, Local 249 (4701 Butler Street, Lawrenceville). Find more information and buy pre-sale tickets at their website here! The Friday night Night Owl event is going to be great – hope to see you there!